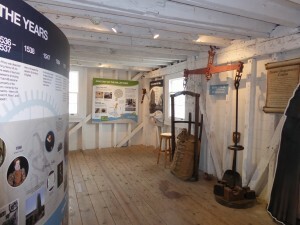 My visit to the Woodbridge Tide Mill was on a particularly damp and drizzly day, but actually once inside, the weather didn’t matter so much as I had lots to see and keep me busy whilst sheltering from the rain! 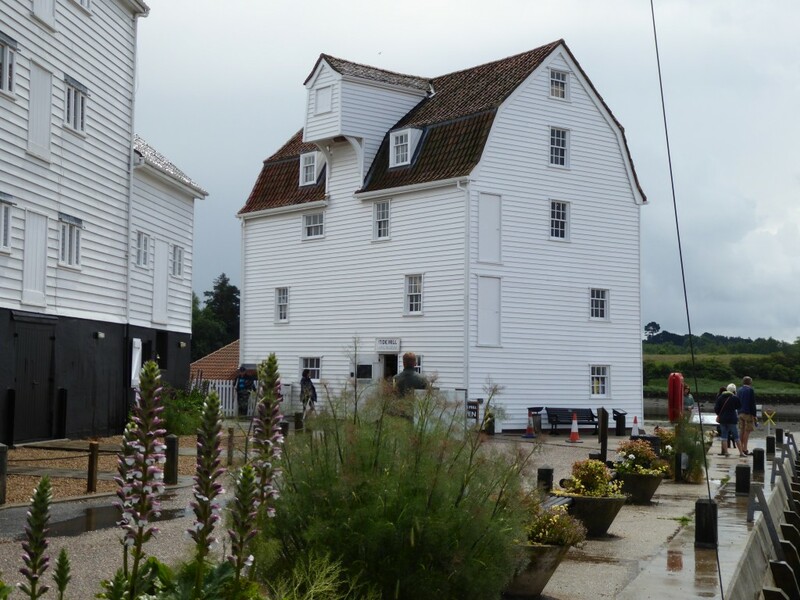 I have often glanced at the Tide Mill and to be honest if it wasn’t on the Suffolk’s Top 50 I probably wouldn’t have visited…that’s why I love my #Suffolktop50challenge I am finding lots of hidden gems! 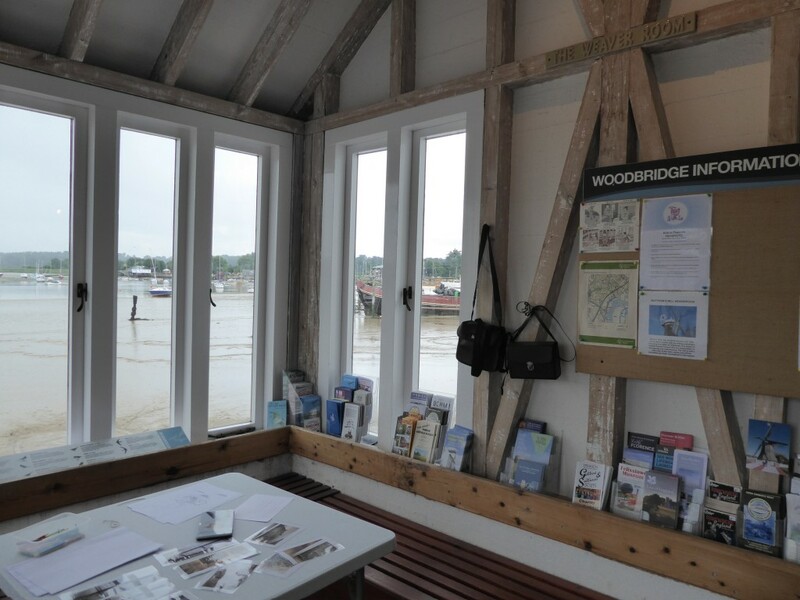 My visit was on a busy day for the Tide Mill as it was also the Woodbridge Regatta & Riverside Fair and lots of people were taking the opportunity of visiting as part of the event. As I stepped inside I was greeted by a friendly warden who pointed me in the right direction to start exploring this lovely building. 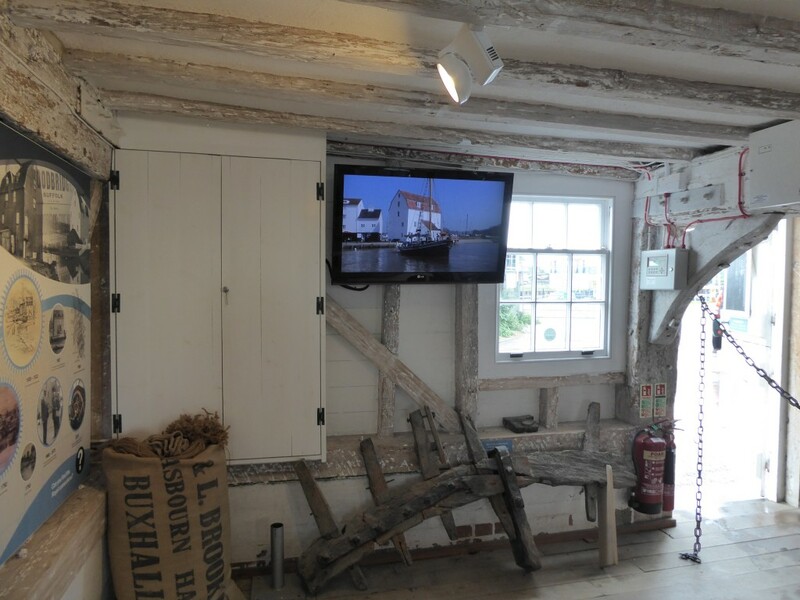 Once inside lots of information is displayed for you to browse and what I particularly liked was a seating area with a TV screen where you can sit and watch a brief history of the Tide Mill. 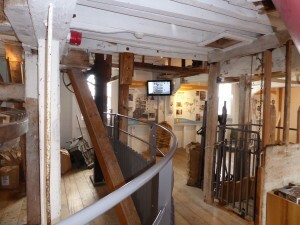 This was great as it also had some old films of the mill being used! It is quite difficult to imagine that the Tide Mill has been here by the River Deben since 1170. I got quite excited when I found out that I was standing in a building that was previously owned by Henry VIII – yes really! It seems hard to believe! Woodbridge Tide Mill was the last working mill in the country until it closed in 1957, having operated for over 800 years. It was saved and restored between 1968 – 1973 when it was re-opened to the public. 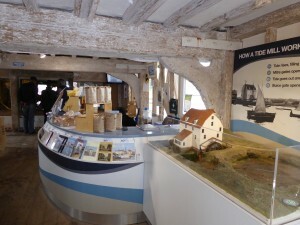 Recent restoration work following a grant from the Heritage Lottery Fund has enabled the Tide Mill to further restore the mill and create an excellent visitor experience with lots of information and interactive features to explore over 3 floors. Still a working craft mill it produces flour for local bakers and if you time your visit and the tides are right you can see the wheels turning and watch the milling. 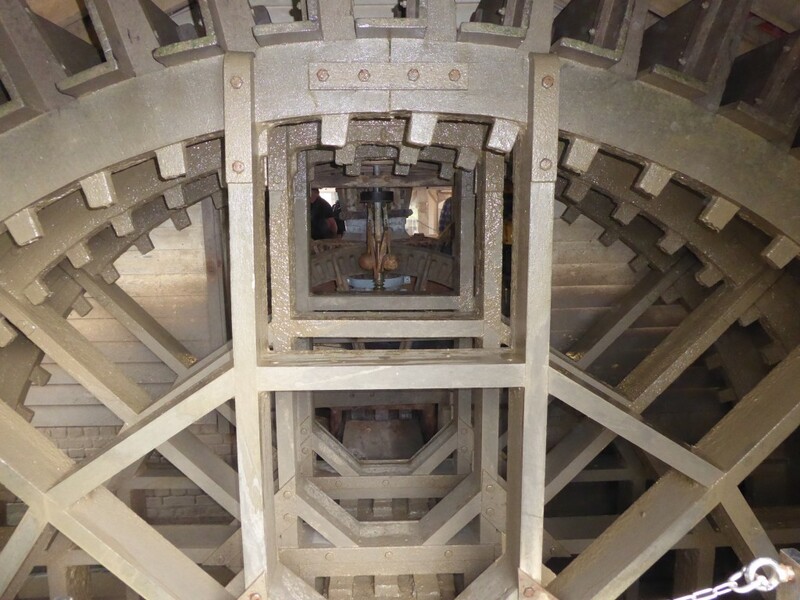 It really is surprising how much there is to see inside the tide mill, as you walk up to each floor there is something new to attract your attention. 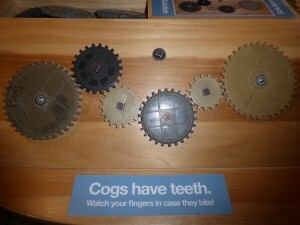 Everything is well laid out and during my visit children as well as adults were enjoying all there was to discover. 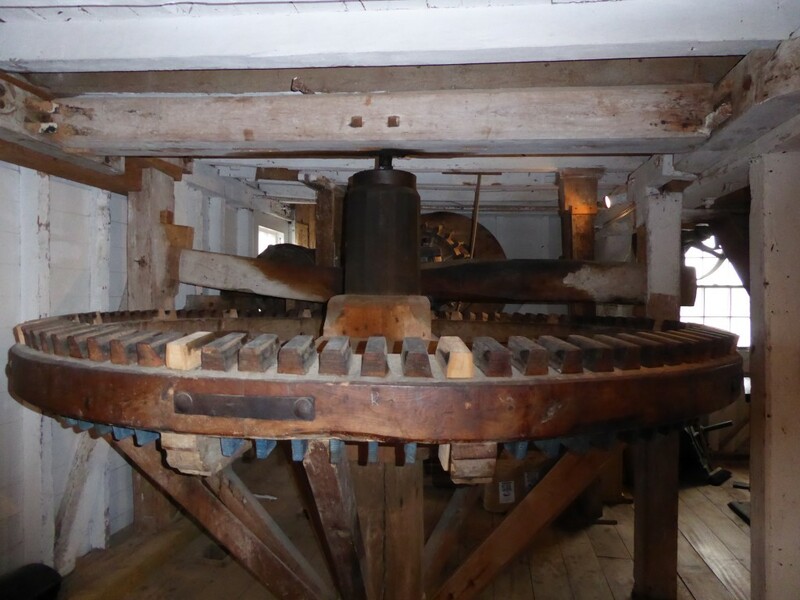 I was surprised at how much time I spent in Woodbridge Tide Mill, it really is an amazing piece of industrial heritage and with so many interesting things to see the couple of hours I spent there went really quickly. Once I had finished looking around I returned to the ground floor to take advantage of the magnificent view across the River Deben. 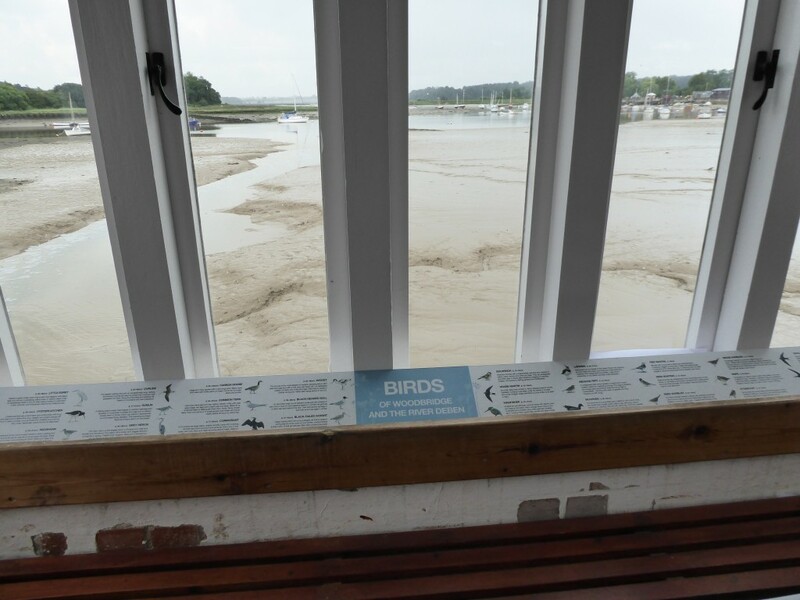 There was a lovely seating area complete with binoculars and information on the birds you may be able to spot from the mill. I imagine the view would be spectacular on a good day without the rain! 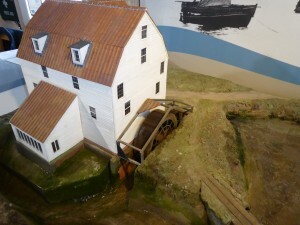 Having visited, I can see why Woodbridge Tide Mill was voted into the Suffolk’s Top 50. I had a really enjoyable couple of hours. 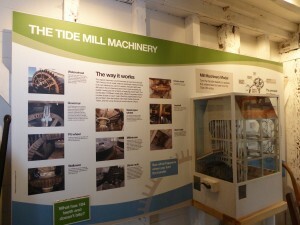 The Tide Mill is a short walk from Woodbridge Town Centre with its many shops and places to eat. There are also many other attractions within a short drive such as Sutton Hoo and Rendlesham Forest so you could easily spend a whole day or more exploring the area.